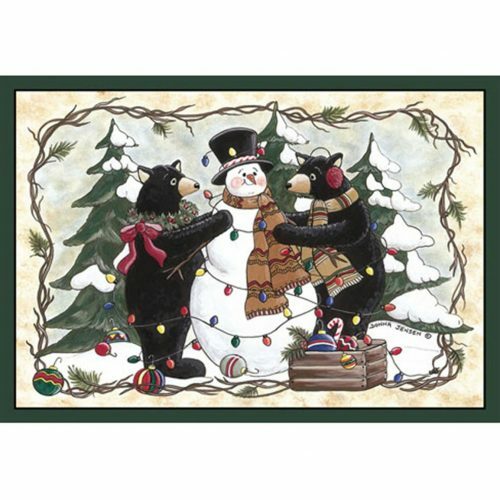 The Walk in the Woods Rug by Park Designs, is a charming complement to a rustic log cabin home. 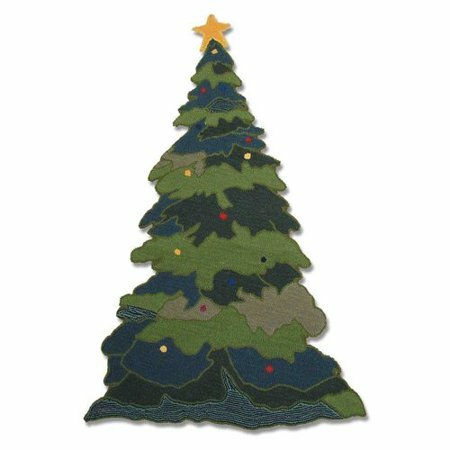 This is a handcrafted washable hooked rug with pine cones and branches. 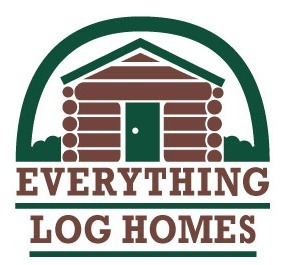 Using pine cones in your rustic décor? This cute pinecone rug might be a nice complement to your other pine cone décor accessories. 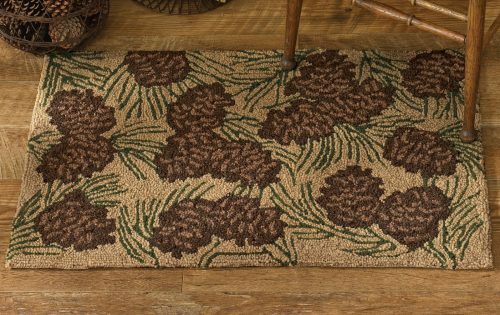 In natural browns and greens, the little area rug has an all over pine cone design. 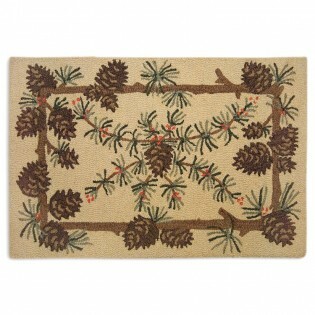 The Walk in the Woods washable rug was designed by Tina Higgins, and it is truly a work of art. 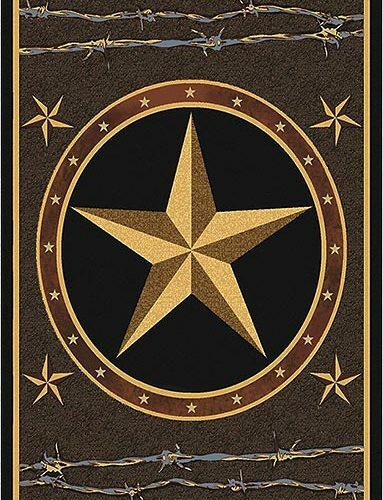 The rug measures 24”x36”, and it works nicely as an accent rug in the kitchen or bath or as a welcome mat to greet your guests. Rug Pad: Recommended. The rug has a cloth backing. Care: Vacuum frequently. Machine washable in cold water on gentle cycle. Lay flat to dry.